In the pantheon of beloved Indianapolis natives, John Leslie “Wes” Montgomery must be in the top ten. Much revered, and often written about, what could possibly be left to say about this internationally acclaimed jazz guitarist? His soaring talent, his all too soon death, at 45 are all well covered. That saying “Writing about music is like dancing about architecture,” comes to mind. Better to take in one of his albums, no? Listen to his artistry, certainly, but if you want to chase his ghost in Indianapolis, you have many options. 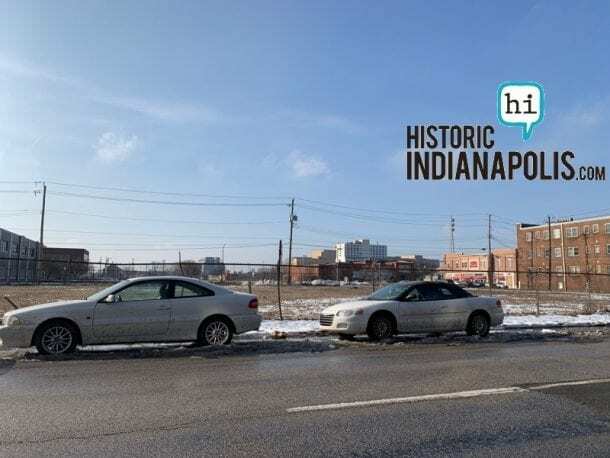 You could wander Indiana Avenue, where he bought his first guitar at a pawnshop; or the 440 Club where he played (at 440 Indiana Avenue); or any of the other “Avenoo” joints he frequented. 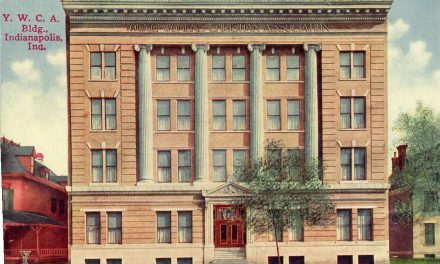 Or visit the beautiful Crispus Attucks High School campus, where he attended school. Or, track down where he spent time. You can never collect all the places where memories were made, but you can fill in a lot more gaps for a consummate entertainer, such as Montgomery. 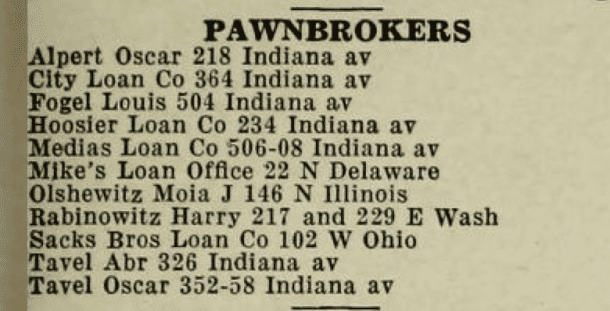 List of Indianapolis Pawnbrokers for 1942, the year Montgomery turned 19, when he reportedly purchased a brand-new guitar and amplifier at an Indiana Avenue pawnbroker. Which one? Not sure. 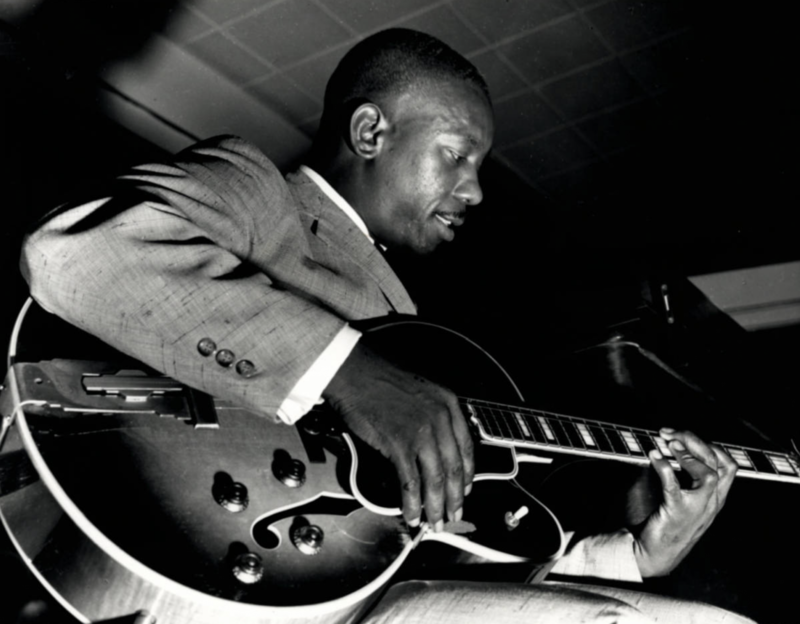 The name “Wes Montgomery” started appearing in local newspapers as early as 1950, and I have pulled many of them together here for you to retrace his musical steps, along with a few other noteworthy highlights. Some of the buildings still stand, some are gone, and all of them were touched by this man of extraordinary talent decades ago. The following is not meant to be a comprehensive list, but a few points of inspiration as you make your way around Indianapolis. 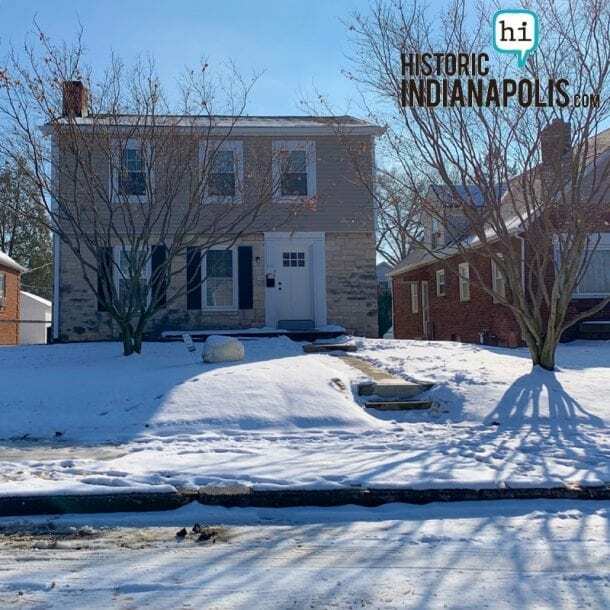 On the west side, not far from the banks of the White River stands the home where the Montgomery family lived when Leslie John “Wes” Montgomery was born, on March 6, 1923: 1007 North Pershing Avenue. 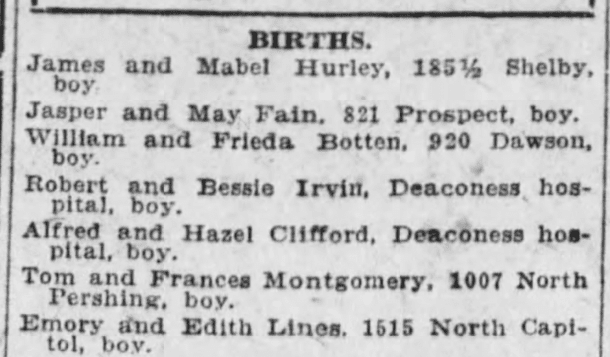 Indianapolis Star, March 13, 1923, listing the birth of John Leslie Montgomery, as “boy,” among a crop of boys born that week. In his early years, from 1926-1930, the Montgomery family lived at 1116 North Miley Avenue, also on the west side, and no longer standing. Wes married Serene Miles in February 1943, and at least from 1947-1961, their family home was at 1217 North Cornell Avenue, now somewhere under the Interstate 65-70 split, adjacent to the Old Northside. 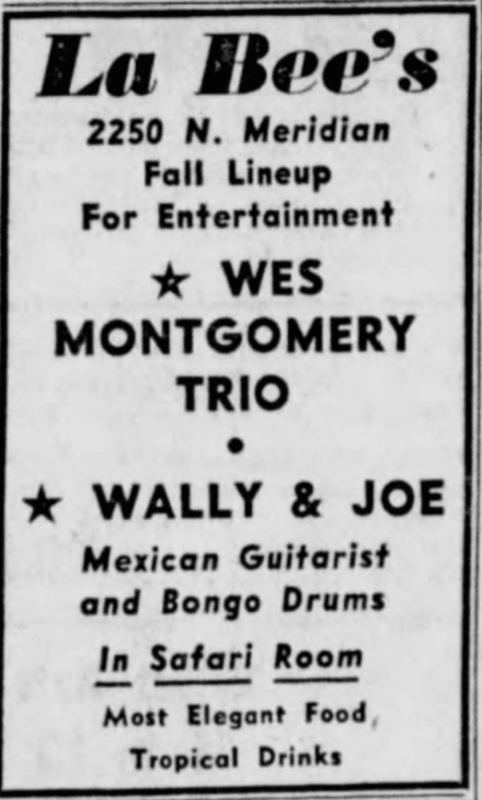 In 1950, announcements featuring Wes Montgomery’s name started appearing in local newspapers. 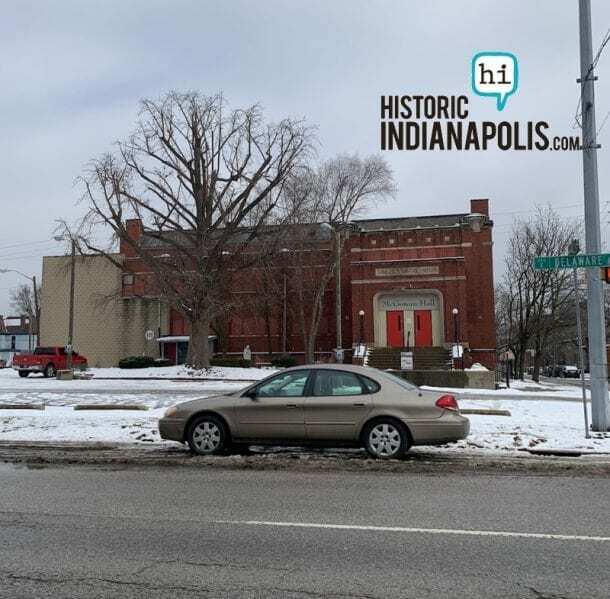 The first one I found was for a show he played at the auditorium of the Phyllis Wheatley Y. M. C. A. at 653 N. West Street on September 3, 1950 alongside other acts including Lionel Hampton, put on by the “Be-Bop Society of Indianapolis” for the benefit of music students of Crispus Attucks. 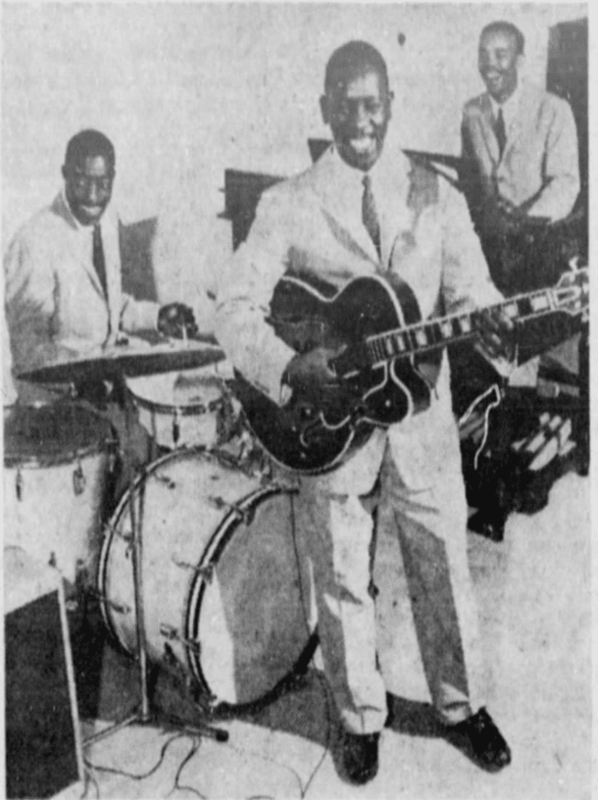 The Wes Montgomery Quintet was among the perfomers who put on a jazz concert on the lawn at Central State at 2pm on Sunday, July 13, 1952 for the patients there. It is not clear which part of the lawn was used, but wonder how far away the notes wafted on the wind. The quintet included Carroll Smith, pianist; Robert “Sonny” Johnson, drums; Alonzo “Pookie” Johnson, tenor sax; and Bill “Monk” Montgomery on bass. Ad from Indianapolis Star, April 1955. 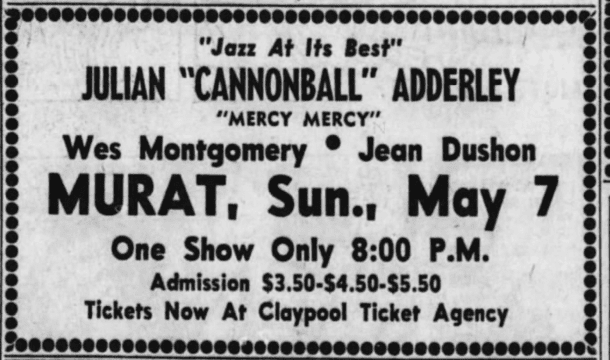 Twelve years and a day apart, Wes played at the Murat Theatre May 8, 1955 and May 7, 1967. 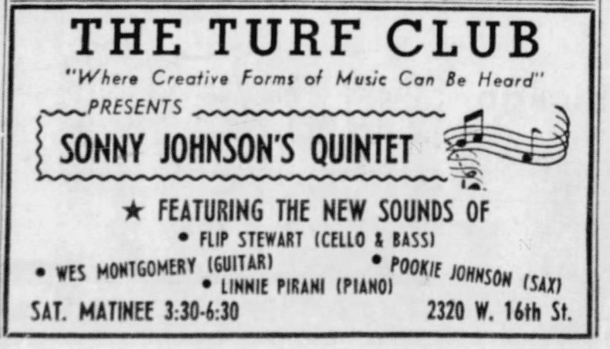 In 1955, as a member of the Johnston-Montgomery Quintet and in 1967, evidently as one of the stand alone featured performers. December 22, 1956 at Mayfair Tavern, recently reopened as Mayfair Taproom, at 2032 E. 10th Street. The advert says “playing nightly,” thought it isn’t clear how many nights. A former home, turned apartment, turned art gallery was opened by a group of artists in September 1957 in what is now Old Northside. The gallery was organized by a group of artists: John W. Delaplane, William J. Burns, Nancy Robertson, and Sarah Boden Burns. Wes played numerous times at 1444 Gallery, located at 1444 North Pennsylvania Street in 1959: March 29; April 26; June 1; July 12; September 13. An empty lot has replaced the former gallery. 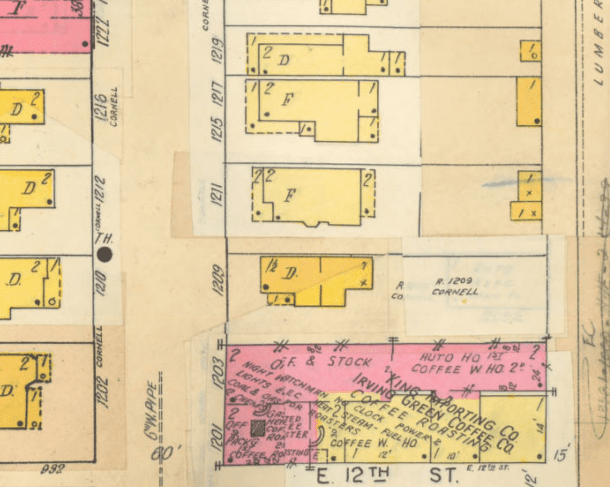 Sanborn map, 1948. 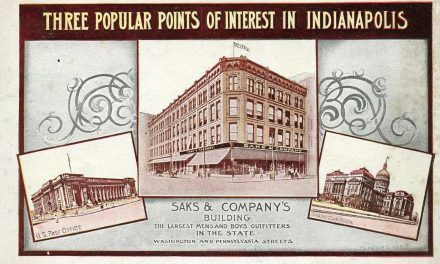 Courtesy IUPUI Digital Library. Not much to look at now, but 60 years ago, the sound was a draw when Wes played at 1444 Gallery on Pennsylvania Street. In December 1955, Bill Gray, the former manager of The Keys, applied to get the zoning changed on 2250 to become a supper club. That was approved, and for a handful of years, it was known as the “Monkey Pod,” decorated in a Hawaiian theme. 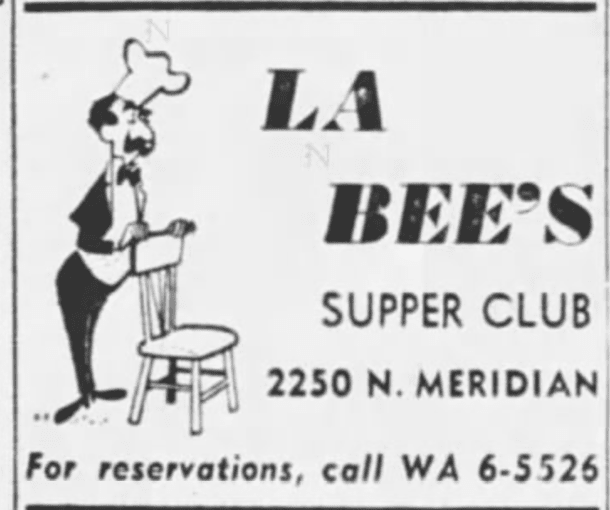 In the fall of 1957, Bernece Gray redecorated and reopened with an American-French theme and renamed it “La Bee’s,” presumably some Americanized version of a French homage to her first name? 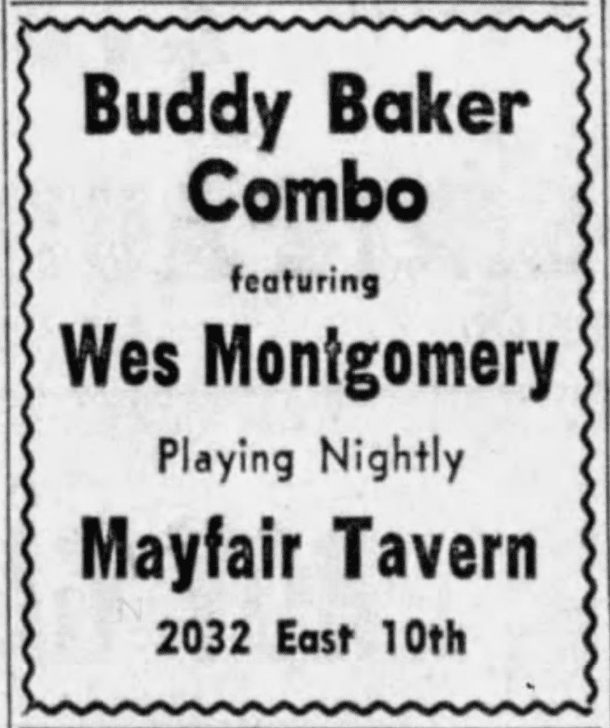 While operating under this name on September 25, 1958 the Wes Montgomery Trio, (down from quintet) was on the lineup at La Bee’s Supper Club at 2250 North Meridian Street. The building no longer stands at 2250. 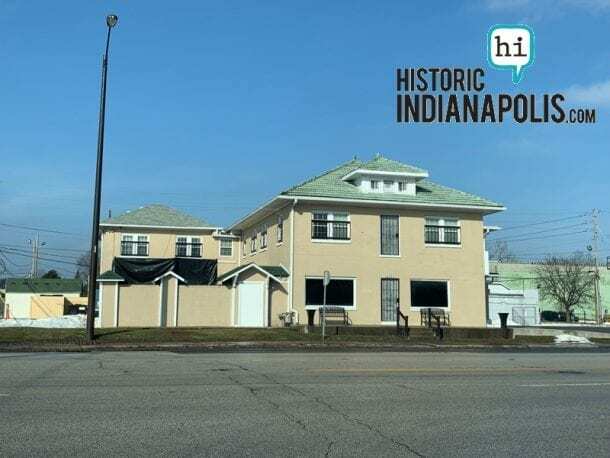 It was sold to Phyllis Shannon in February 1961 and changed to “Shannon’s Roaring Twenties,” which catered to a more refined clientele at its beginning than its end. 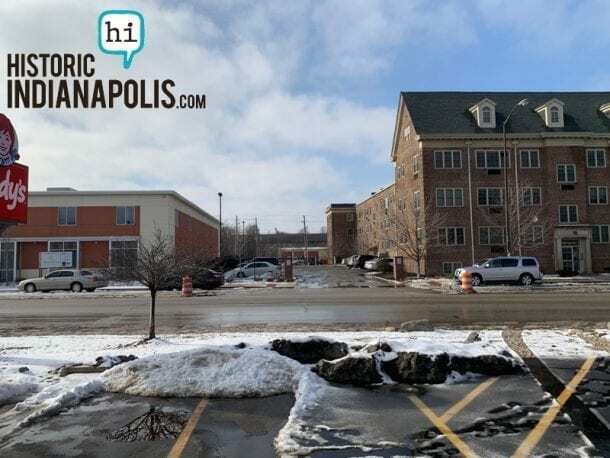 When that business closed in 1997, it was seen as a positive sign for the area, and sometime thereafter, the building was bulldozed and an empty lot still remains on the site, across from a fast food chain. 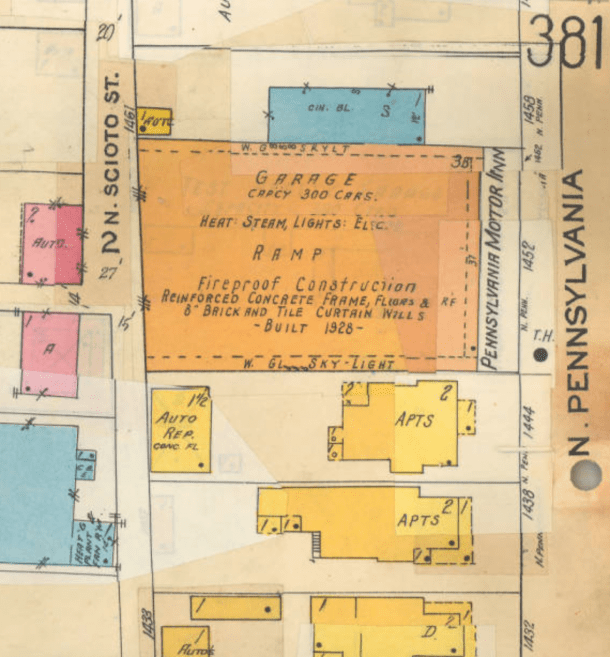 On June 28, 1959, you could have heard the Wes Montgomery Trio play at the Knights of Columbus Hall at 13th and Delaware streets (before the Knights tore down the original mansion). From Indianapolis Star, June 1959, advertising an appearance at the Knights of Columbus Hall. The early 1960s were a busy one for Wes, filled with travel, albums and awards, so he did not appear as frequently on local stages. There were still appearances, just not as many, and the venues tended to be bigger when he did: The Circle Theatre in April 1964, Clowe’s Hall in November 1967–he must have walked over from his home, he was so close to the campus. However, one of his last, possibly the last show Wes performed for Indianapolis locals took place at 8:30pm on May 22, 1968 at a show with Jonathan Winters at the Coliseum at the State Fairgrounds. 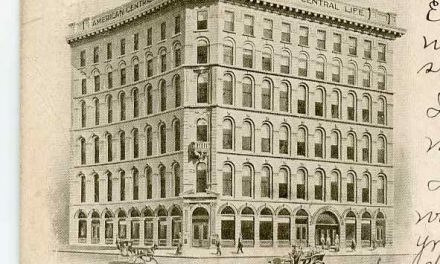 Less than one month later, on June 15, Wes complained to his wife Serene of chest pains, at their Butler-Tarkington home at 641 West 44th Street. He was pronounced dead shortly thereafter at Methodist Hospital. 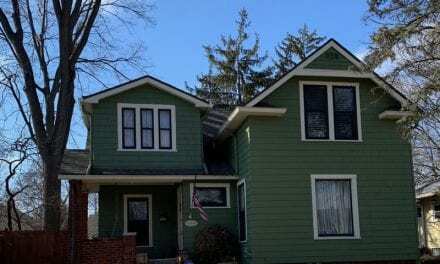 Last home of John Leslie “Wes” Montgomery, in Butler-Tarkington. His funeral took place at Puritan Baptist church at 872 West 27th Street. His final resting place is New Crown Cemetery, at 2101 Churchman Avenue. May I recommend getting some Wes Montgomery on whatever device you use, and go for an Indianapolis tour of the life of one of the city’s brightest stars. Please feel free to share other places he lived and played in the comments below.